I have been going to Mykonos for 14 years now. 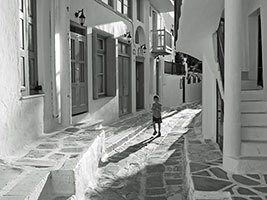 During this time, I have been photographing the real Mykonos people. Here are some black and white pictures of some of them.